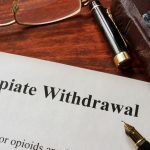 Most substance abuse and addiction persons do not want to enroll in either inpatient or outpatient treatment program for their addiction recovery because of different reasons. Some may lack an understanding that their addiction can be treated or nothing can be done to help them recover from their addiction. Others may experience self-denial or fear to talk therapy. With these attitudes, the recovery process can be significantly affected. However, expressive therapy can be an incredible tool for addiction recovery to persons who can’t express themselves in talk therapies. In substance and drug addiction, some people are not just verbal. They reason in movements, pictures rather than expressing themselves in words or phrases in describing their experiences to therapists. In a rehab center, to dig out information from these kinds of individuals in order to help them recover from addiction they utilize this type therapy. Through expression you can learn more about yourself and express yourself adequately to other individuals including therapists. Expressive therapies utilize various forms of art and are usually facilitated by a qualified and licensed therapist. Therapists are typically involved in every step of the procedure used in helping you get the most out of your experience and hence help you recover from your addiction. Mostly, sessions are individualized and vary in format and structure, but a therapist can ask you to answer a question regarding the task at hand. Poetry and Creative Writing: this is mostly used for healing and individual growth. You have sufficient time to reflect on your life influenced by substance abuse. Here, you may write journals, poetry or lyrics to picture your emotions and the progress in recovery. Many experiences involving drug and alcohol abuse can be very disturbing and get an outlet that is non-judgmental and criticism-free is a healthy way of relieving without having to talk about it. Music Therapy: Here, you can utilize lyrics from artists or instruments to express your feelings, mood or control your mood swings. Lyrics from a common artist can be analyzed in a group and then expressed individually about what it means and how it makes you feel. Classic music has been often used by mental health therapists to generate a sense of calm or creativity. Drama Therapy: Drama processes can be used to express therapeutic objectives of individual growth, convey emotions, symptom relief, and character reflection. A therapist may insist that you choose a role that you can connect with as a way of expression through a fictitious character. Actually, drama therapy is used to enable you to tell your story minus experiencing trauma that a usual talk can cause. Movement or Dance Therapy: This form of therapy is employed to express feelings, changes in mood, enhance physical function and behavior. This therapy involves choreographed dances or free-form movements, jogging, ballet, yoga or ballroom dances. Participation dance enhances relationships with others while stimulating healthy brain processes that are connected with dancing. Play Therapy: this involves other forms of recreational activities such as games. By just having fun in participating in these games will enhance your personal recovery and growth, enhance interpersonal skills and more. Sand Play: In this therapy, you are given access to a sandbox and miniature figurines. In this play, you are required to create tableaus and sand other, this essentially allows you to unravel the deep layer of your psyche. Integrated Therapies: Also referred to as multimodal therapies, involves the use of more than two forms of expressive therapies in combination to foster awareness, emotional, cognitive improvement and behavioral change in addiction recovery. This method of therapy is to help you get in touch with your feelings as well as your deepest core of creativity in order to figure out your way out of addiction. A licensed therapist can offer significant help in guiding you through your addiction recovery path. In order to benefit from this therapy program, here is what to consider. Be Honest: To express yourself is what you can completely control whether in spoken words or in movement or in painting. By being honest and open, you will find it a lot easier to express yourself to others and also making your recovery process more successful. Do Not Over Think It: All that matters in this method is to bring out your feelings, emotions, and behaviors that are destroying you from the inside. So you don’t have to overthink about how you can bring them out. Just express them in a manner you feel comfortable, rules don’t matter. Let Yourself Go: After a long addiction, learning how to express yourself without the influence of alcohol and drugs can be an intimidating experience, but it can also be worth the effort. You have to overcome the reasons why you chose to indulge in drug and alcohol abuse in the first place by having fun. In conclusion, no single treatment or therapy program that works for everyone. Your addiction is an individual thing and your therapy should just be as unique. Using this type of therapy is one way to deal with the powerful disease of addiction, regardless of the kind of addiction you are suffering from.